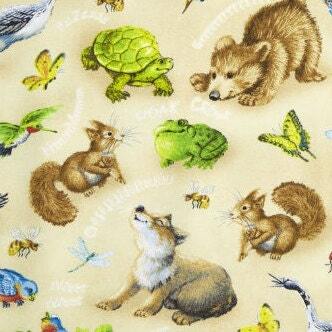 Such a sweet addition to Quiet Bunny and The Noisy Puppy fabric line. 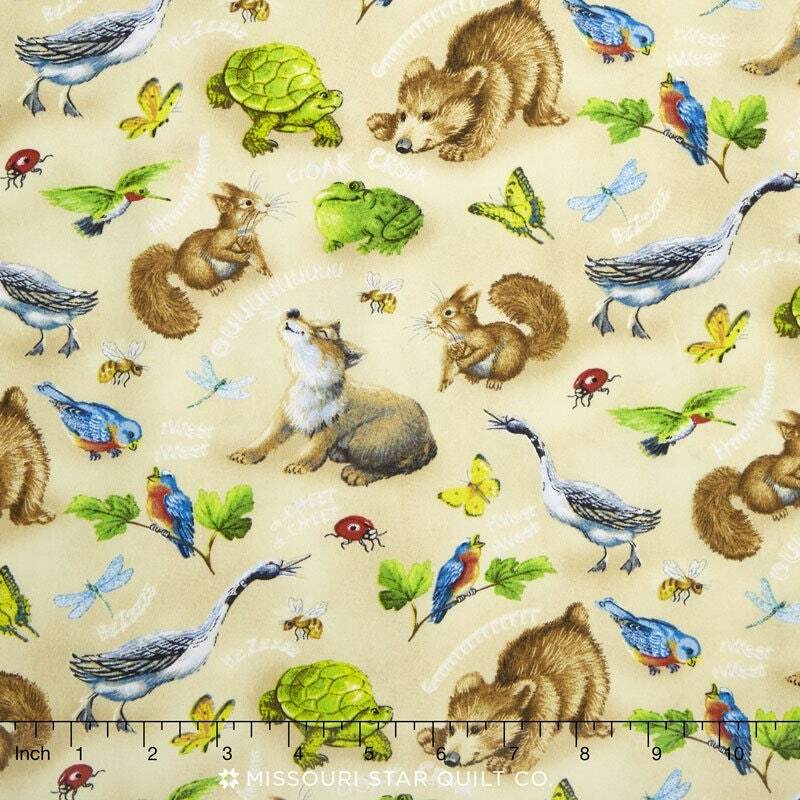 Sweet little bears, turtles, frogs, squirrels, butterflies, geese, fox, various birds and bugs scamper across this delightful fabric. A beautiful addition to any baby quilt. 100% cotton and 44 inches wide. Colors include cream, brown, green, yellow, blue and reds and sparkle to this fabric. All fabric from The Quilted Nursery Nursery Fabric Store is cut directly from the bolt and same day shipping always! Overage on shipping charges are refunded at time of shipping. All fabric is cut in continuous yardage unless otherwise directed. Great fabric, was shipped super fast! 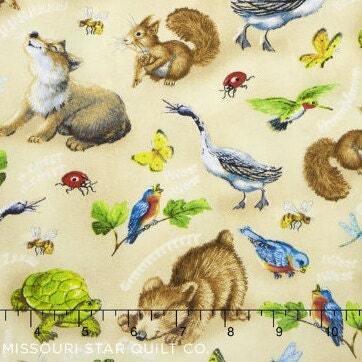 I'll use "The Quilted Nursery" to buy quality fabric for my shop Kims Krafty Kritters!! !